What it is: A creamy, lightweight facial moisturizer with a distinctively golden hue and a perfectly balanced, non-greasy texture. How we use it: This lotion is to a skincare routine what a cotton cami is to a wardrobe: a foundation basic that’s simple enough to wear under anything. The idea of a multi-step skincare regimen wasn’t always as universal as it is today. In 1967, Vogue magazine published an article called “Can Great Skin Be Created?” featuring New York dermatologist Dr. Norman Orentreich, who was the first physician to custom compound products for his own patients over 50 years ago. The article caught the eye of Evelyn Lauder (Estée’s daughter-in-law), who then recruited Dr. Orentreich and the magazine’s beauty editor, Carol Phillips, to create the Clinique brand in 1968. The three-step daily regimen of cleansing, exfoliating and moisturizing was the basis for the line. Dramatically Different Moisturizing Lotion (DDML) was one of the brand’s first products. Before the Clinique launch, Dr. Orentreich sold the golden yellow moisturizer in his pharmacy, where it was labeled “YML” (Yellow Moisturizing Lotion). The new name was coined by Phillips, the Vogue editor, who noted that the lotion was “dramatically different” the first time she tried it. The moisturizer’s ingredients remained the same as the original until 2013, when Clinique reformulated DDML to provide better protection for the skin’s barrier (thus the newly added “+” in the product’s name). The reason? Today, skin is under higher levels of stress that it was in the 1960s, thanks to busy lifestyles and a more polluted environment. The current version contains hyaluronic acid, glycerin and urea to moisturize skin, along with a barrier strengthening complex — a blend of sunflower seed cake, barley extract and cucumber extract — that helps make skin more resistant to environmental stresses. 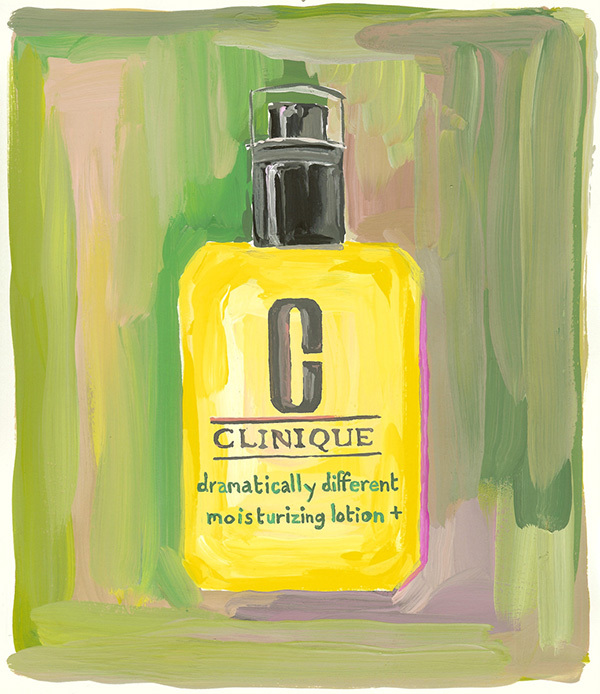 But the original texture remains the same: Clinique conducted sensory testing on over 1,600 women across five countries to ensure that the new formula would stand up to its storied reputation. Not only did your mom probably use DDML, today, the product is the best selling prestige moisturizer in America. Across the globe, one bottle is sold every 4.71 seconds. How’s that for dramatic?